September Girls continue to grow on their new 7". In the spring, I reviewed Dublin-based girl group September Girls' demo cassette, Wanting More. I was instantly taken by the charming lo-fi pop on songs "Wanting More" and "Secret Lovers". The cassette was perfect for the transition from a cold winter in Denmark to a sunny (yet too hot) summer in Brooklyn. But a few months have passed, and it's now autumn, and September Girls have yet another new release courtesy of Soft Power Records (and this time on vinyl!). 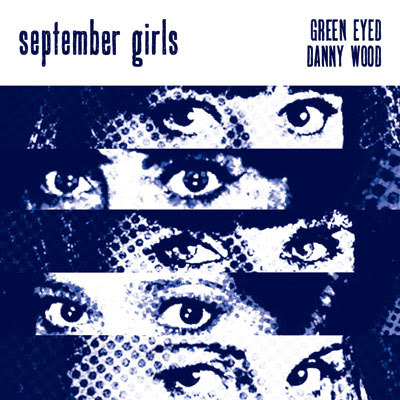 The first and most evident change from Wanting More on the Green Eyed/Danny Wood 7" is the sound of the production - the two songs come across much clearer and fuller than on the Wanting More cassette. You can also tell the band has grown quite a bit since their first release. "Green Eyed" is a dark ode to a tumultuous lover that deviates from the airy garage pop of Wanting More. It's the strongest track September Girls have released so far and showcases their potential as a band. The B-side, "Danny Wood", is a delightfully jangly song dedicated to a particularly charming boy named Danny Wood. The track is more similar to September Girls' previous efforts but still shows a wonderful progression in their music. It's always fascinating to a see a band evolve from their very beginning and I can't wait to see what September Girls will do in the future. The 7" will be available on October 22nd and please, September Girls, come to America? Listen September Girls on bandcamp.